Alexie Sayle is backing small shops in Bloomsbury. Yes, but is it art: there's a new jock strap gallery in Camden. They may not be cute, but there's no reason to mistreat them: sixteen staffies have been rescued from a Bow flat. It's Traveller History Month at the Irish Cultural Centre in Hammersmith. Police are wondering if the South London Night Stalker is taunting them. Reckon they've been watching too much CSI. 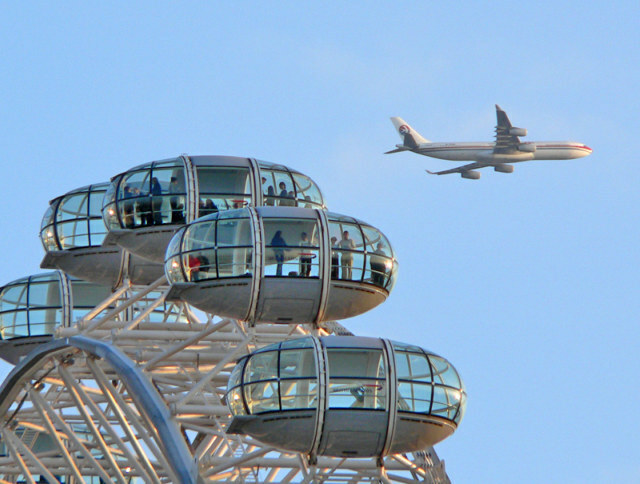 Flypast by tarotastic via the Londonist flickr pool.